The Ring of Roses Chandelier Shade is simple and elegant! 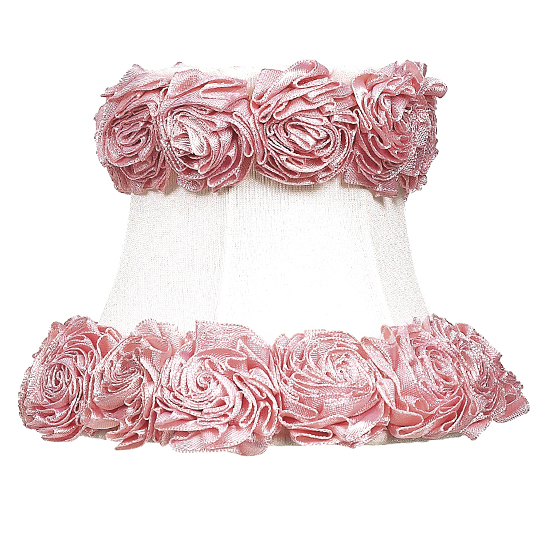 The white shade is adorned with pink roses around the top and bottoms edges. Clips onto bulbs.